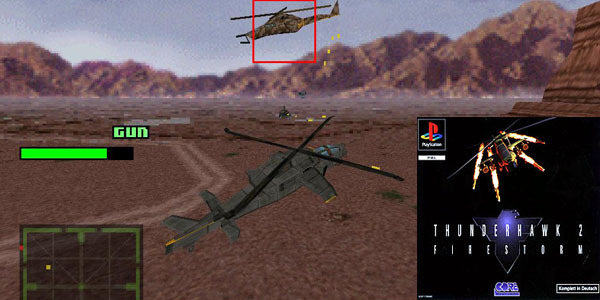 Next up is again another game that came to the fore with its appearance on demo discs; Firestorm Thunderhawk 2, was a seemingly boring helicopter-esque sim which had you strategically taking out multiple army bases and groups of soldiers. Much like Overboard! it doesn’t sound appealing, and it really shouldn’t be that engrossing, but it somehow it managed to be.